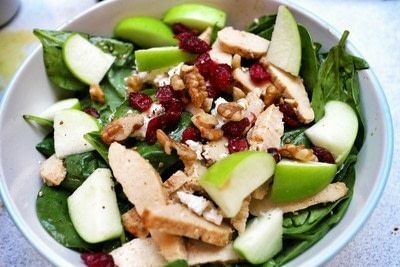 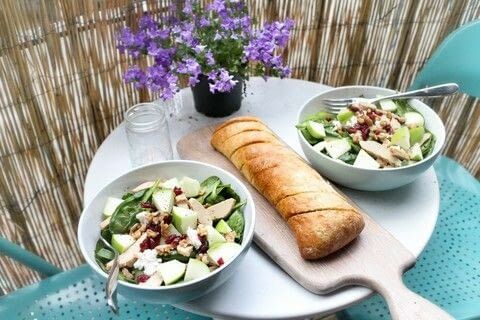 A baby spinach salad with apple, goats cheese, walnuts, dried cranberries and Quorn chicken slices. 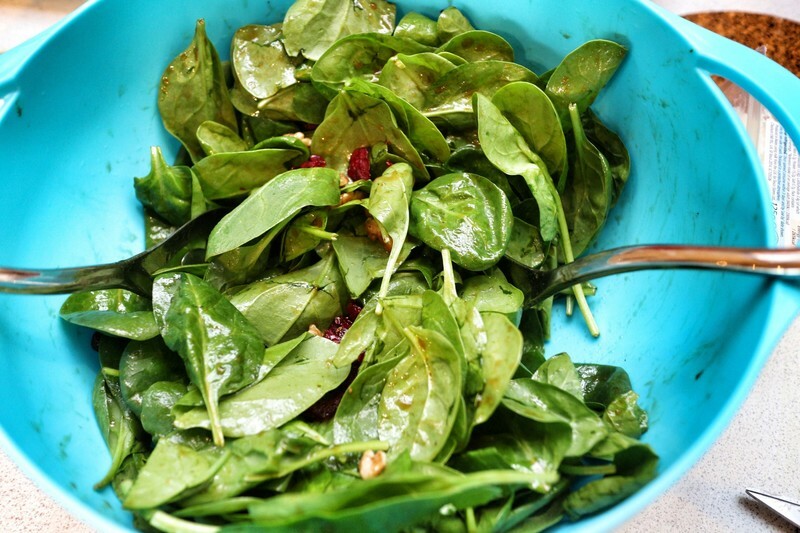 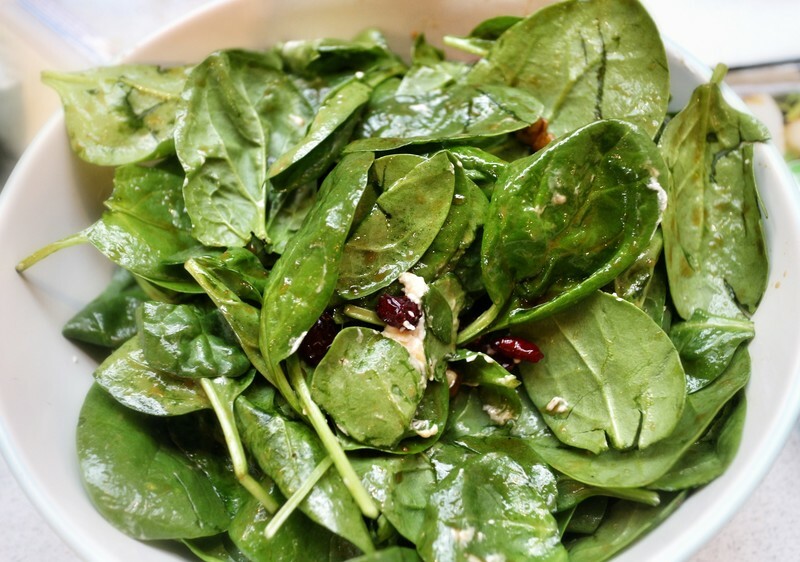 Toss together the baby spinach with olive oil, balsamic vinegar, cranberries and walnuts. 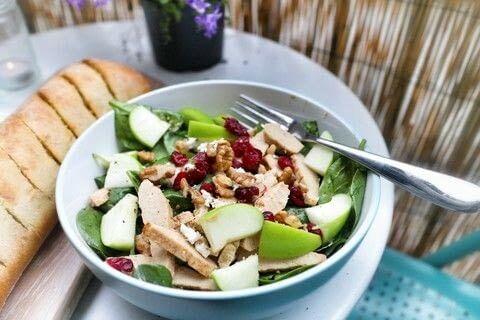 Crumble in the goats cheese and season with salt and pepper. Top with chopped apple and Quorn roast chicken slices.